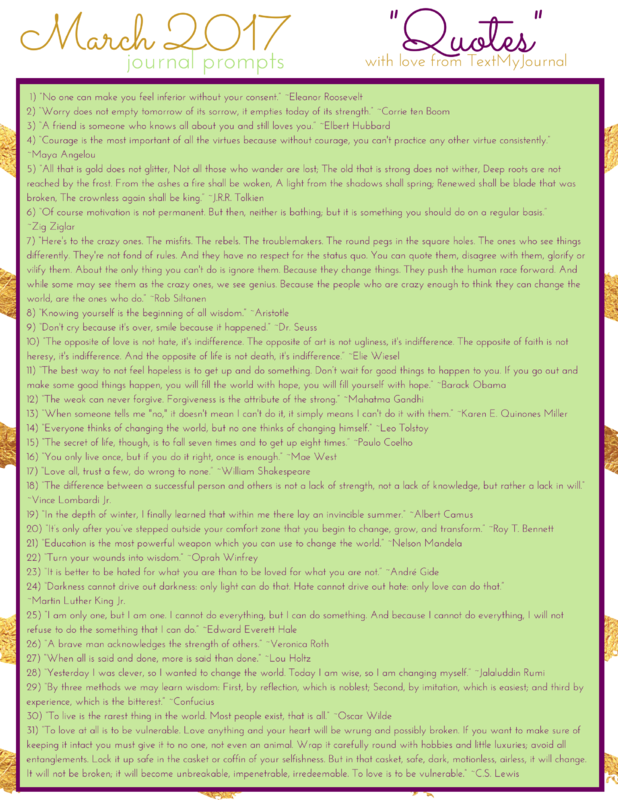 March Journal Prompts are here! We’re turning our focus to quotes this month. We’ve gathered some of our favorite quotes about Life, Love, Determination, Strength, Motivation, Change, and Wisdom to inspire you throughout this beautiful month. Happy March, and happy journaling! “The difference between a successful person and others is not a lack of strength, not a lack of knowledge, but rather a lack in will.” ~Vince Lombardi Jr.